This year they plan to raise $1.5 million for seven organizations: Leeza Gibbons Memory Foundation, Children’s Miracle Network, Andrew Gomez Dream Foundation, Food 4 Africa, Fran Drescher’s Cancer Schmancer Foundation, and newcomers Morris Animal Foundation, represented by Betty White, and Dolly Parton’s Imagination Library. Emmy-award winning TV star and animal activist Betty White has served on the Morris Animal Foundation board of trustees since 1971. Since its inception in 1948, the foundation has funded more than 1,600 humane animal health studies. Today, its funding supports more than 200 animal health and welfare research studies each year at the world’s most respected research institutions, colleges of veterinary medicine, and zoos. The Book Lady of Sevier County! Dolly Parton is almost universally adored, not just for her songs but for her sunny, shiny, sweeter-than-sweet-tea persona, her gusto, and her wit. It’s virtually impossible to name another member of Music City royalty who can claim a following of such diversity. But even Parton’s biggest fans may be unaware of her less flashy role as “The Book Lady”—a nearly magical figure who leaves books in the mailboxes of boys and girls everywhere. At least that’s the way some children have come to think of Dolly, thanks to her groundbreaking program, the Imagination Library, which distributes free books, one per month, to children from birth to age five in more than a thousand communities across the country. 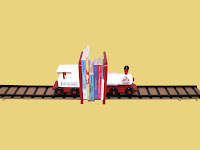 The books vary from year to year, but there are a number of staples, including The Little Engine That Could, a classic that’s become an iconic title for the program. Parton recently spoke with Chapter 16 about the role books played in her childhood, her hopes for the Imagination Library’s future, and more. During the last 6 days, photos and videos of our Imagination Library friends and their children were posted on Dolly Parton's Imagination Library Facebook wall. At the end of the day on Sunday, November 14, 2010 at 5:00pm Eastern, the top 4 photos with the most "Likes" as votes, each won a set of Dolly Parton's Imagination Library Book Ends. Turner Addison Morris in 4th place. Bella Johnston in 3rd place. Laia Juliana Hughes, with the most votes, is the first place WINNER! Congratulations to all who played and stay tuned for the next giveaway that will take place between November 26th and December 19th 2010. Complete details of a second chance to win, will be released soon, just in time for the holiday season!! First Tennessee Foundation joins communitywide push to get books to children! As a grandfather, Charles Burkett understands not only the joy experienced from reading to a child but also the value in it. "When she was younger, I know how much (my granddaughter) enjoyed hearing me read to her," said Burkett, 59, of Memphis. "It's important for children to read during early development before they start school, and the only way is with a parent or a guardian working with them." When First Tennessee's president of banking learned about then-Shelby County Mayor A C Wharton's efforts to bring the statewide Governor's Books from Birth program to the area, he immediately jumped on board. "From the first time I heard the story of what Books from Birth was all about, to somehow help preschool children with their reading by providing a book to them each month, I don't know how you don't like a program like it," said Burkett, board member of the First Tennessee Foundation. The Governor's Books from Birth program works with the national Dolly Parton's Imagination Library to provide one free hardcover, age-appropriate book a month through the mail to every child up to the age of 5 who registers with the program regardless of income. With seed funding from the First Tennessee Foundation totaling $100,000, as well as other donations, the organization added Shelby County to its roster of participants in 2005. So far, the local arm of the program has provided more than 32,000 books to children, and serves 47 percent of qualifying children in the area. "We have one of the largest Books from Birth programs in the country," said Nora Capwell, executive director of Shelby County Books from Birth. 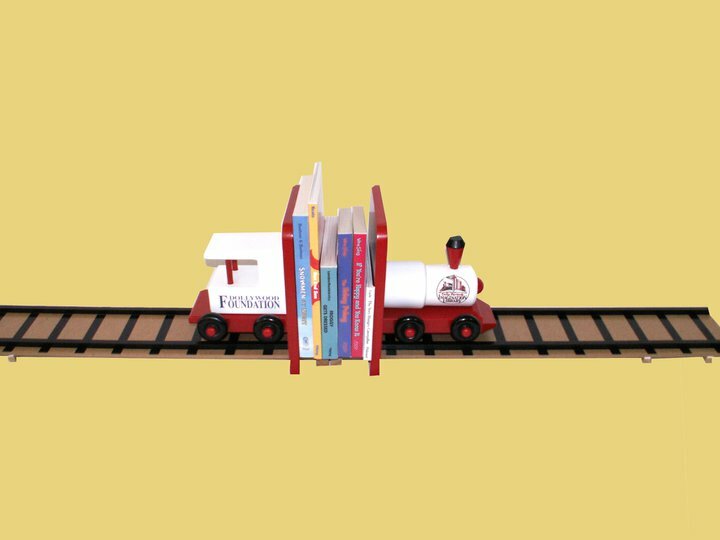 Every county in the state participates in the Governor's Books from Birth, with Dolly Parton's Imagination Library spreading across the U.S. and into Canada and the United Kingdom. Working with a skeleton staff of two employees and close to 30 volunteers, SCBFB works with hospitals, schools, day cares and churches to sign up children for the program. "We've done a really great job with outreach in the last five years. People know us, know about us, and will call us wanting books. It's a good problem to have," said Capwell, 41, of Memphis. Through various fund-raising efforts, SCBFB pays half the $28-per-child annual cost of delivering a book every month to each child. Books are chosen by a panel of early education experts and are purchased from Penguin Publications. Every book is wrapped with the child's name on it. In addition to the First Tennessee Foundation's seed funding, the organization also participated in SCBFB's 2010 fundraiser, Tables of Content, held at the Botanic Gardens in January, as the title sponsor. "The more kids we register the greater the need we have for funding," Capwell said. Other sponsors include the Plough Foundation, the Hyde Foundation, Gerber/Taylor Associates, the Urban Child Institute and the John Dustin Buckman Charitable Trust. Capwell hopes to have every eligible child in the county registered eventually. To Burkett, it's a no-brainer. "For a child to go to kindergarten, to start school and already have an advantage in starting off on the right foot, that's good for everyone," he said. For more information about, to make a donation to, or to volunteer for Shelby County Books from Birth, go to www.booksfrombirth.org or call 865-820-4501. Dolly Parton's Imagination Library will be celebrating their Fifth Anniversary this Saturday, November 6th, at 10:00 am in South East Tennessee. All children and their parents who are eligible or who have ever participated in Dolly Parton’s Imagination Library program by receiving books are invited to the fifth anniversary celebration at the Blount County Public Library along with their parents. Hosted by the Maryville Kiwanis Club, the ceremony will recognize five of the first enrollees in Blount County as well as several newborns whose parents have just enrolled them in the program. Free refreshments will be available. The program will be held in the Reading Rotunda of the library. For more information, visit www.blountlibrary.org or call (865) 982-0981.